Democratic State Representative Deb Kolste of Janesville has introduced a package of bills focused on reforming the pharmaceutical industry, including legislation to increase transparency in how prescription drug manufacturers set their prices. One bill requires drug manufacturers to notify the state prior to price increases of more than 25 percent. They would also be required to include a justification for the price hike and detail the amount of rebates provided to Wisconsin residents. 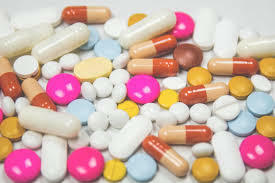 Other bills would prevent insurance companies from removing prescription drugs from their formularies while a contract with a consumer is in place. Kolste says consumers have been given little insight into what is driving drug prices to record highs. She says consumers are simply given higher prices without any transparency from manufacturers... ".....it is at a crisis point for insurance(companies), governments, and consumers to try and get a handle on pharmaceutical drug pricing. Polls by Kaiser Foundation and Harvard point out that pharmaceutical prices are becoming the number one concern of American, a bipartisan concern by the way...."
".....it has gone up in price from $690 in 2014, an established prescription drug, no changes, to more than $4,500 today, a price increase in more than two years. Given the opiate epidemic, that can only be described as price gouging...."
The Citizen Action of Wisconsin report is here. Governor Walker has called a special session of the legislature to deal with a growing opioid problem in the state, especially among young people. While addiction experts praised Walker's call, others have said portions of the proposal are far underfunded. Last week Citizen Action of Wisconsin held a conference call on the session. With the clock ticking, an advocacy group is asking insurance companies to come up with what are called 'low-out of pocket' insurance plans. This week Citizen Action of Wisconsin reports on July 22, insurers need to submit 2017 plan designs to the state for the health marketplace, HealthCare.gov. The group was asking the companies to offer what are known as Low Out-Of-Pocket health plans that provide health care access at costs that working families can afford by reducing deductibles.